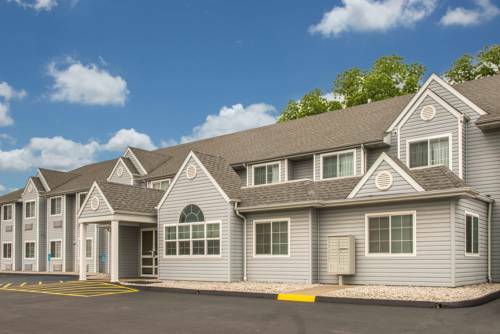 This Microtel Inn and Suites by Wyndham Sainte Genevieve is just off Interstate 55 and close to restaurants, downtown Sainte Genevieve, the Sainte Genevieve golf course, hiking and biking in Hawn State Park, lovely scenery in Pickle Spring Natural Area, and the Sainte Genevieve Winery. This hotel welcomes pets and offers a complimentary continental breakfast each morning, as well as complimentary wireless Internet access and ample large-vehicle parking. A business center with meeting rooms, computer access, fax and copy service, and presentation supplies helps you take care of work details. Rooms feature a refrigerator and microwave, ideal for longer stays, and suites are available as well as smoke-free and accessible rooms. Less a museum than the World's Greatest PlayZone, with precarious places to climb and secret chutes to slide. Plus the World's Largest Underpants, the World's Largest Pencil, and Elvis Presley's travel trailer. ~47 miles from Ste. Genevieve. Large bronze "Nijinski Hare" was sculpted by artist Barry Flanagan, and depicts a rabbit in mid-martial arts (or ballet) stance. ~54 miles from Ste. Genevieve.